Thanks for hosting Heather! And i just love the inspiration photo you chose today! Thanks so much for hosting. Love that star! LOVE that star Heather!! 🙂 Thanks for hosting such a fun party each week. Thanks so much for hosting Heather! I love that ribbon star too. Have a great weekend! I am so ready for some fun Christmas inspiration…thank you so much for the awesome party each week!!! Thanks for hosting! I LOVE this ribbon star!!! Thank you for hosting another great party! Looking forward to seeing all the creativity! Hi, Heather! 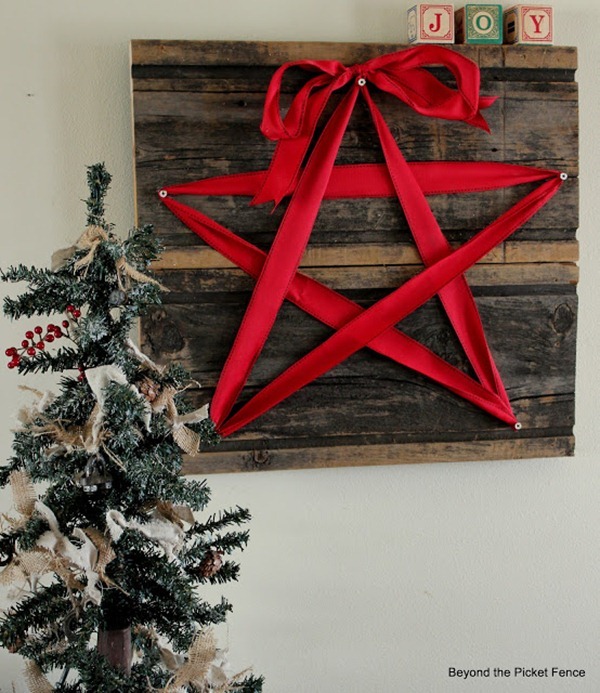 Wow, I wish I had a mantle – that star would really be awesome as a big statement piece! Thanks for giving us a place to link up every week! You’re such a doll! Have an awesome weekend! I love this time of the year as well! Thanks for hosting every week, I hope you have a great weekend. p.s. I love your red barn! Thanks so much for hosting Heather! Have a great weekend! I’m in love with that ribbon star! Simply beautiful! Thanks so much for hosting, and have a wonderful weekend! THanks for hosting a great party! Have a great weekend! Thanks so much for hosting! I hope your weekend is great. Thanks for hosting and sharing so much talent every week! Have a great week Heather!! Thanks for hosting – I am new and glad to be a part! I shared “Making Kefir Video Class” which is so easy to do at home and “Beef Plus – Chili for a Crowd” which has ground beef plus kidney and liver – my children love it! When I clicked on #19 and 20, I got a phorn website called "Cute Little Girls". You might want to check this out.